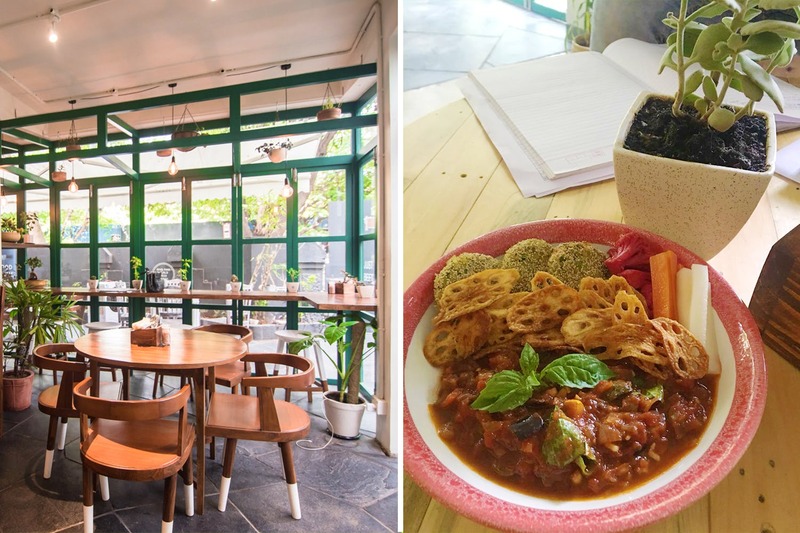 Tucked inside the leafy lane 5 of Koregaon Park is Chafa Cafe & Studio, the newest eatery in town which is amalgamating the two good things of life, food and health. Chafa is the kind of health cafe that will lift up your mood no matter what. The ambience is airy and breezy and adorns subtle earthen tones on its decor. While the indoor seating has polished wooden furniture along with swing chairs and beautiful potted plants and succulents, the outdoor area is done up with pretty, vintage furniture painted in white. We hear there is a fitness studio inside that is used for high intensity interval training, yoga and dance classes, organised thrice a week. Brainchild of Megha Bagla, Chafa advocates the idea of healthy body and mind. Similar to its ambience, the food too, is fresh, light and plated gorgeously. What you must try out here is their signature whole wheat spaghetti with chicken balls, crispy tofu open sandwich and red pumpkin and bulgur patties. Don’t miss out on their decadent, guilt-free dessert, beetroot and dark chocolate pudding to conclude your meal. Every dish out here is cooked with organically sourced ingredients and homemade sauces for you to indulge without worrying. What’s more? All their desserts are made with jaggery powder or other healthy substitutes, so say goodbye to all things sugar! Whether you’re a foodie or on diet or just another person who loves to try something new, Chafa Cafe & Studio is the place you must check out.